Looking to find a good accountant? A good accountant can save you a great deal of money on your taxes, while a bad accountant can cost you just as much. In choosing the best accountant for you, there are many factors to consider. All accountants are not the same. Some specialize in handling personal taxes, while others prefer handling bigger businesses. Though their education might apply to both, they may be better set up to handle one or another. When trying to find a good accountant for you, most people begin by asking their friends and family. Others, might be tempted to pick a random name out of the phone book, resulting in a bad experience. Still others have had success using online directories like SmartGuy.com, which lists thousands of accountants many with ratings you can verify. Regardless, here are a few things that will help you find a good accountant. Experience. 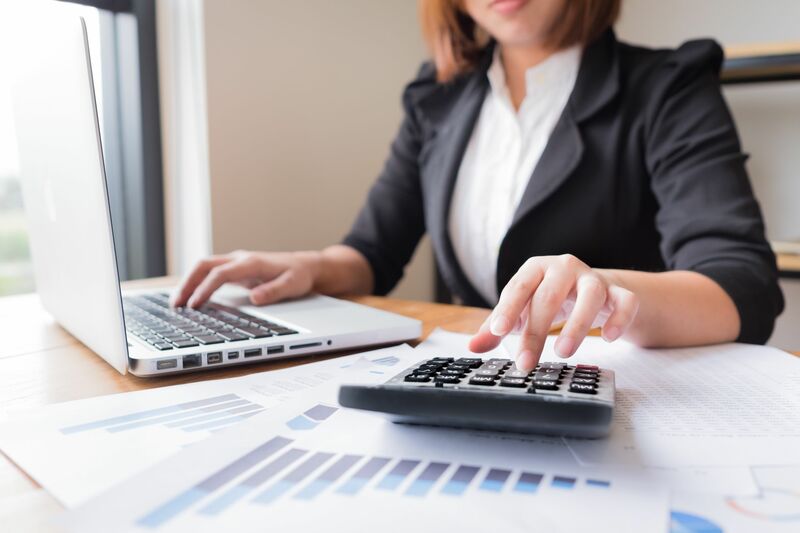 Make sure you choose an accountant that not only has extensive experience dealing with clients in your situation, but that they are up to date with the most current tax laws. Whether your filing as an individual or you need an accountant for your company, it is important that they understand your unique needs. Ask them what percentage of their clients are individuals vs. businesses and how long have they been in business. Qualifications. It is also important to know what qualifications they have, Are they a chartered or certified accountant? a bookkeeper? a financial advisor? A certified public accountant or something else? Quite frankly, virtually anyone can call himself a tax preparer and file your return for you. There are two types of tax professionals, though, that are probably most commonly selected:: certified public accountants and enrolled agents. Both types can represent you before the IRS in the case you get audited. Certified public accountants (CPAs) are accountants who have passed qualifying state exams and met specific education and experience requirements for that title. Enrolled agent (EA) is a tax professional licensed by the IRS through a special enrollment exam or after working for the IRS for five years. Speak with a few accountants. It is a good idea to interview a few accountants before making any final decisions. It is not just about their qualifications, but how well do you connect with them. Also, be sure to ask them exactly how much they charge. No one likes to gets a hefty bill they didn’t expect. Ask them what software they use; for example, if you use Quicken at home or in your business, it is important that they are familiar with Quicken as well. This will facilitate doing your return, and save you a great deal of money in preparation. Look into references and past jobs. Ask for a list of past clients from each accountant that you meet. Be sure to call a few of their clients and ask them how they got along, as well as if they experienced any issues working with them; such as, lack of follow up, not returning calls, getting audited etc. Look into reviews. Before hiring the accountant, look and see if they have a BBB rating or SmartGuy® rating. You can also enter the electrician’s name followed by the words “rip off” or “scam” and see if anything comes up. You might also find some information on their company from their website or national accounting boards. Expectations. Make sure everything is discussed prior to finding and choosing an accountant. While they might handle every aspect of booking and small business accounting, who is responsible for organizing the bills, checks and other paperwork? Who is entering the information into the computer? Accountants often charge by the hour, so it might be better for you to do the data entry work rather than paying them their high hourly rate to do it. Also, if your business grows, will he staff up to handle your needs? Quality Accounting software. Good quality accounting software will make it much easy for you to take part in your accounting process. It can simplify and automate tasks like invoicing, sending invoices and recording contents. As long as the accounting software is cloud-based, you can give your accountant secure access to your accounts with just the click of a button. This can save you time and money, and gives you a better grasp of your specific tax situation. Does your account like his job. Sounds ridiculous? It’s not. You want to choose someone who likes being an accountant, who stays on top of their industry and is always looking for ways to help their clients. Some accountants only manage their clients accounts and complete their tax return forms, but the best accountants are proactive. Write offs and loop holes are constantly changing, so a good accountant keeps an eye on everything. A good accountant will tell you potential offsets, as well as the implications of doing so.For example, using your home as business premises might result in a tax charge levied on the house when you sell it. Fees charged. There's no set universal charge amongst all accountants. Some charge by the hour, some might charge a monthly retainer, others could charge a percentage of your turnover. Regardless, feel free to negotiate. Regardless, make sure to get written quotations from all the accountant's you interview, then go away and compare them carefully. When looking for a good account for you, it is important to consider all of these points. It is an industry where there is a direct correlation between their ongoing education, training and passion and your saving of money. You will be sharing intimate information with them and the operation of any company that you have. You will need someone you can trust, who has the necessary experience and who will be there and available when you need them.